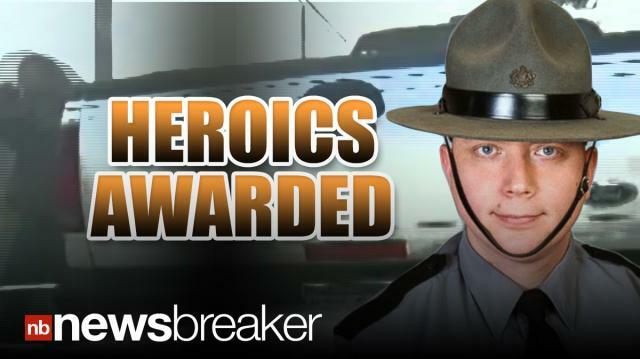 A dash cam caught a Pennsylvania state trooper saving his colleague’s life during a car chase and gun battle. Trooper Timothy Strohmeyer was awarded the International Police Office of the Year after he put his life on the line, ramming a suspect’s car and diverting the gunman’s attention to save a trapped fellow trooper’s life. Strohmeyer was struck by several gunshots but saved by his bulletproof vest, the gunman was killed in the shootout.